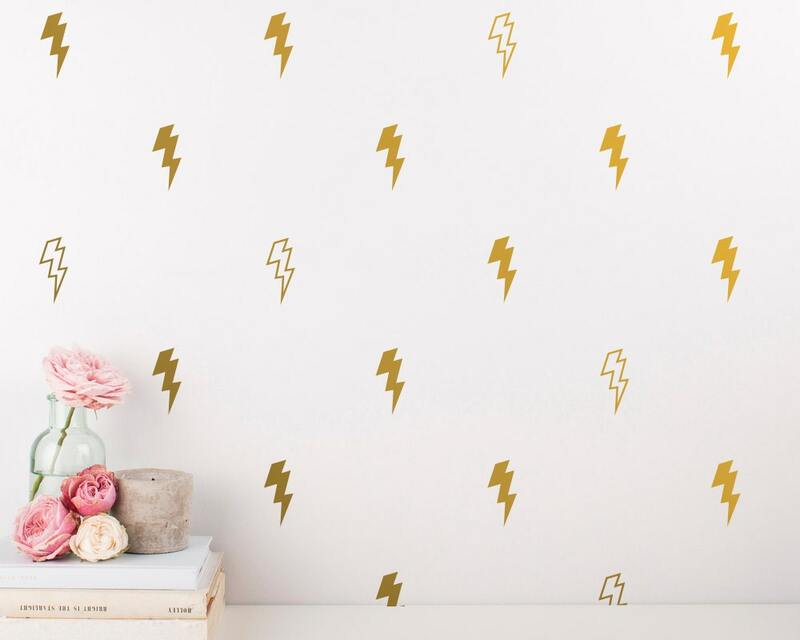 Lightning Wall Decals - Gold Vinyl Decal Set, Unique Wall Decals, Silver Decals, Lightning Bolt Vinyl Great for Home Decor, Gifts, & More! 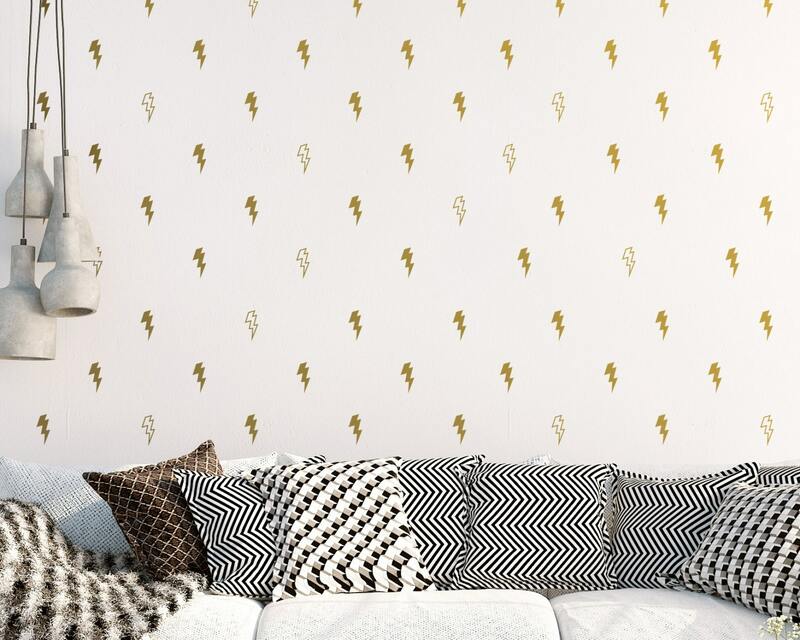 Dramatically convert the look of your living space with these unique lightning bolt wall decals, giving your walls the look of a custom paint job without any of the hassle! 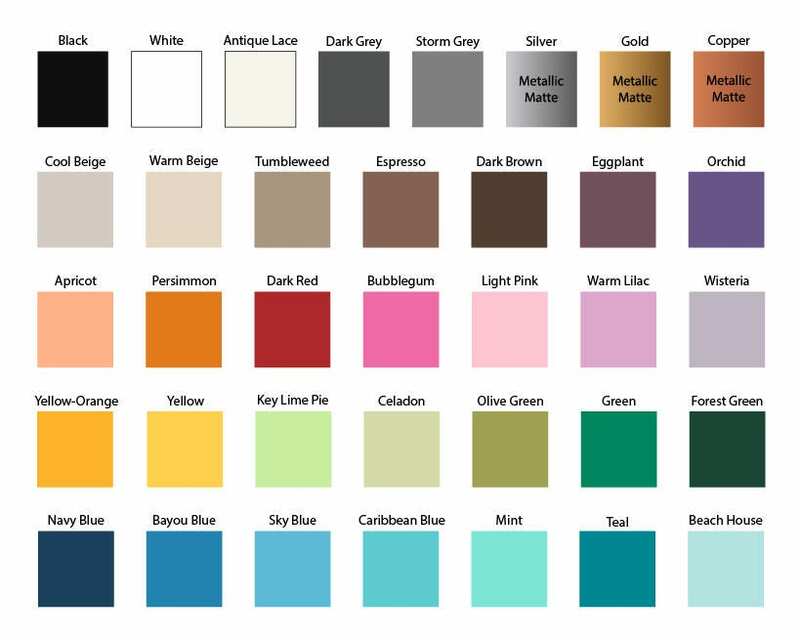 ALL of these decals were created from my unique, original designs and aren't available from any other seller, ensuring your product is one of a kind. • Each lightning bolt decal is approximately 1.3" X 3"